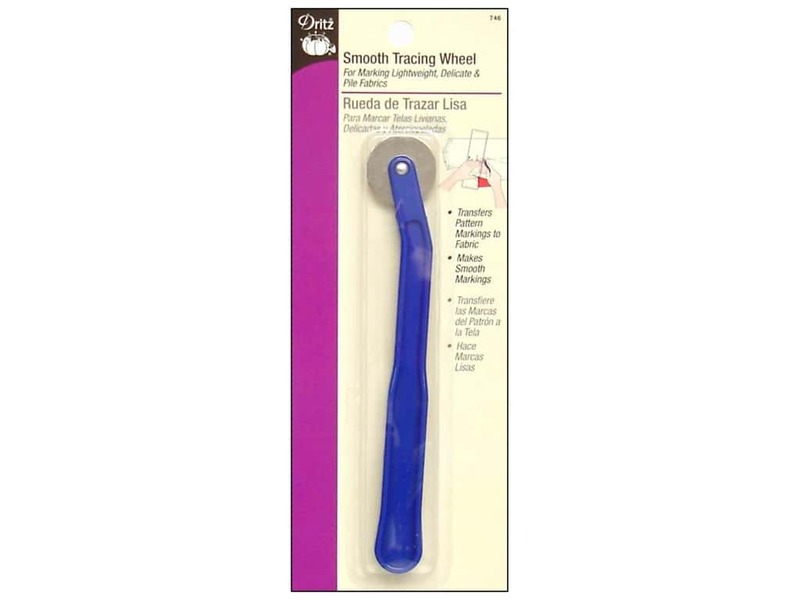 Description: Dritz Smooth Tracing Wheel is used with tracing paper to transfer pattern markings for darts, pleats, tucks, pockets, and buttonholes to fabric. Work on hard protected surface and mark wrong side of fabric only. Will transfer markings through a double thickness of most fabrics. Makes dotted markings on most fabric. Use the Dritz Smooth Tracing Wheel to mark stretch, pile or delicate fabrics.